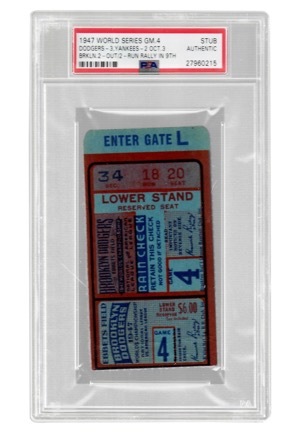 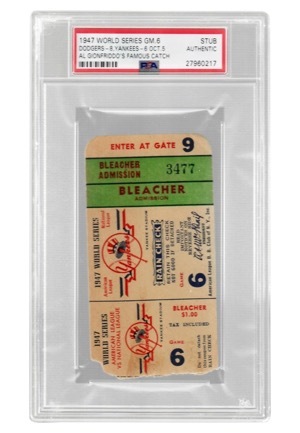 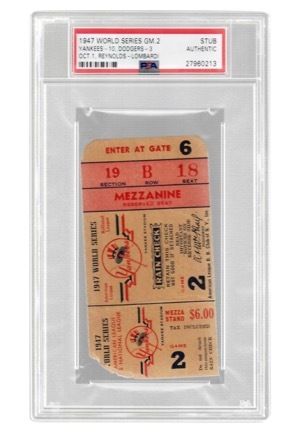 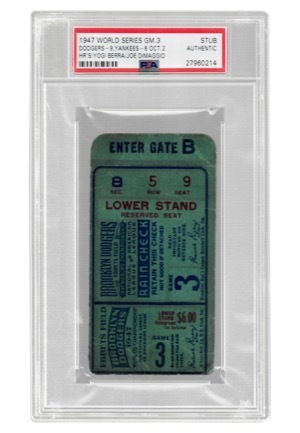 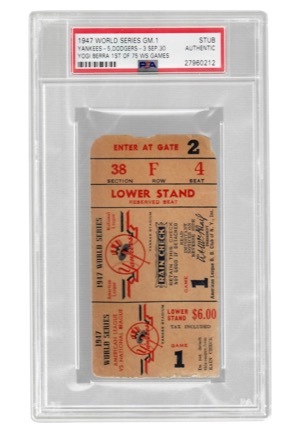 Offered are seven ticket stubs from the 1947 World Series, a Series the New York Yankees defeated the Brooklyn Dodgers in seven games to capture their 11th Title as a franchise. 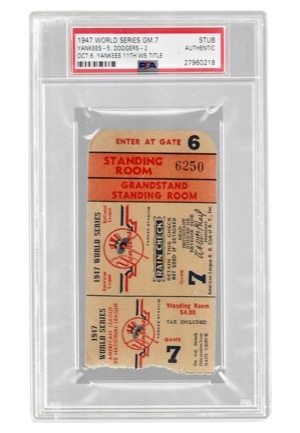 Game One featured Yogi Berra’s first World Series Game. 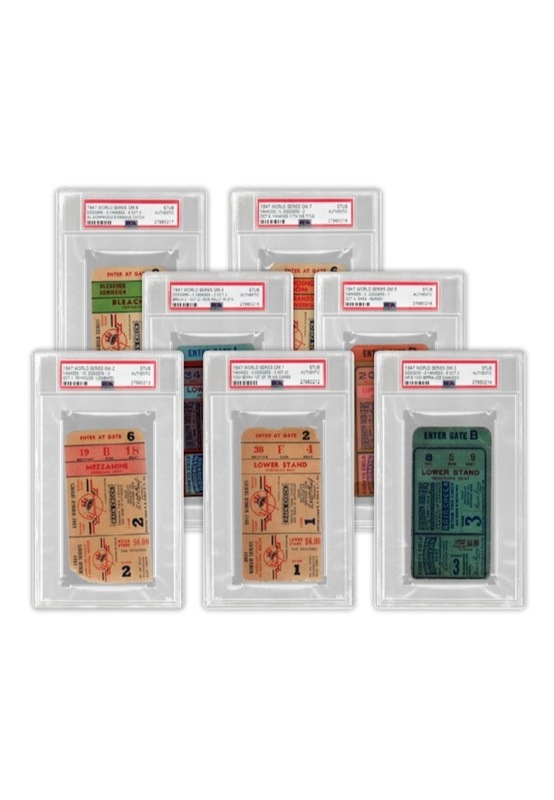 All stubs have been encapsulated by PSA and graded “AUTHENTIC”.